Last week I realized how much hand-holding my calc II students needed so they could get started with parametric equations. 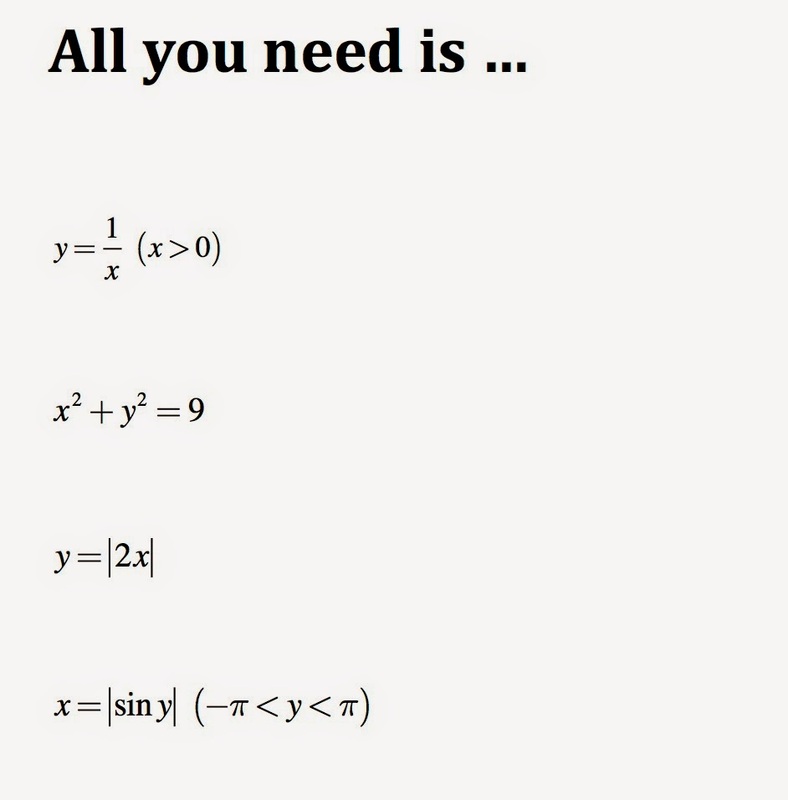 Most of them are very weak in trig. Many of them aren't sure how to get started when they're doing something new with graphing. So I slowed down. But I also wanted them to do more exploration and experimenting. 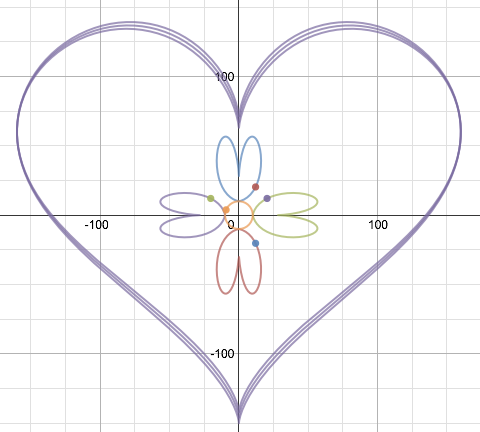 On a whim I gave them the typical assignment to draw something using parametric equations (or polar graphs). It can be anything, be creative. I don't have a particular assignment yet. Sometimes (for some students) less is more. One of my students emailed me with a question, I replied, we went back and forth with over a dozen emails, and he produced this loveliness. I've included a screenshot below, but what he did is animated, so click on over to Desmos. Wow! I hope his enthusiasm inspires the rest of them!